Did you know these facts about the avocado? It has a right to be known as a “superfood”! The avocado is a fruit and not a vegetable. The avocado is a berry because it has a soft flesh and a seed! Avocados contain unsaturated “good” fats. 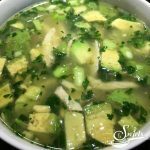 The good fats in an avocado can help the body absorb fat-soluble nutrients Vitamins A, D, K, and E.
Avocados don’t raise LDL (“bad”) cholesterol levels when eaten as part of a healthy diet. Avocados also contain almost 20 vitamins, minerals, and phytonutrients. Avocados are a good source of five essential nutrients – fiber, folate, vitamin K, pantothenic acid, and copper. 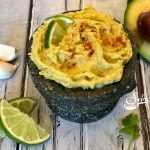 Are you loving my mortar that I’m serving my Avocado Hummus in? It’s a classic mortar and pestle that I bought during a visit to Mexico but you can get one similar to it! Check out this granite mortar and pestle or maybe you’d like a marble mortar and pestle or this gorgeous angled mortar and pestle! The choice is yours! Thinking you need to get more avocados in your life? Me too! You can start your morning with a Baked Egg In Avocado, a breakfast that cooks itself in the oven while you’re busy getting ready for your day. Then add Lemon Basil Avocado Quinoa to your next meal for a punch of nutrition along with deliciousness. Make a Brown Rice Taco Bowl , with seasoned beef and salsa, creamy avocado, juicy tomatoes, cheddar cheese and red onion over good-for-you brown rice. All the flavors of a taco in a bowl for your next Meatless Monday. 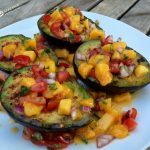 Enjoy Grilled Avocados With Mango Salsa when you’re dining al fresco, lightly seasoned avocados are grilled to perfection and topped with a lime-kissed mango salsa. 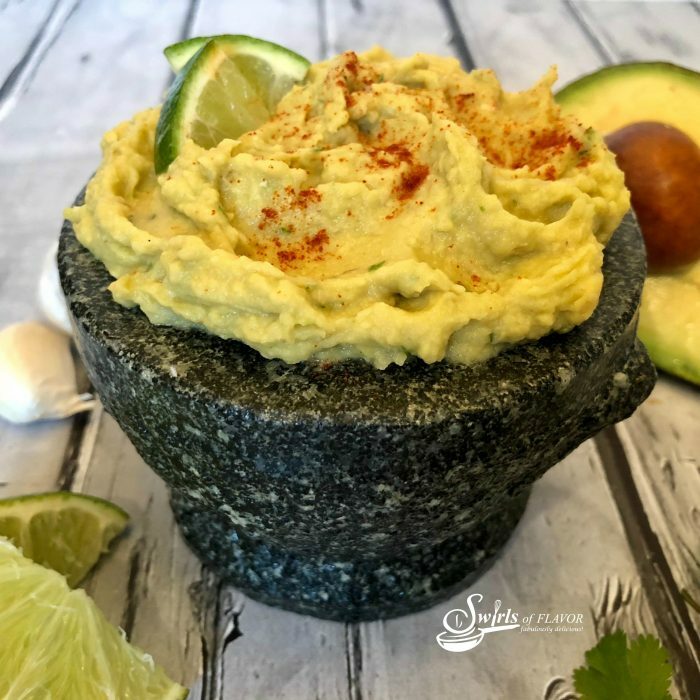 Avocado Hummus is a protein-packed powerhouse of nutritious deliciousness! 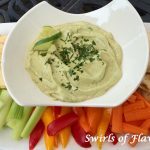 Traditional chickpeas of hummus team up with the creamy richness of avocado in this easy appetizer recipe. 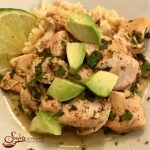 Add a touch of lime, cilantro and, of course garlic, with a hint of chipotle spice and you won't be able to resist dipping in! Serve with your favorite vegetable dippers.